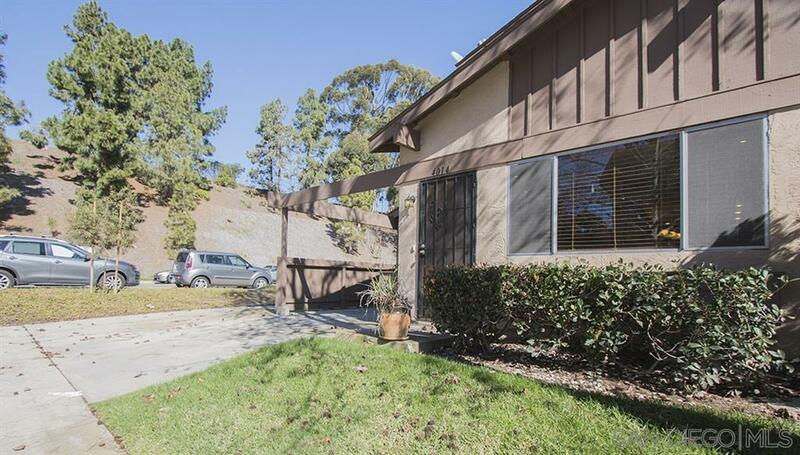 Desirable UTC corner unit on cul de sac! 1 bed/1 bath downstairs, 2 beds/2 baths upstairs, attached carport & 1 uncovered parking next to unit & 4 permitted HVAC units to maximize comfort & control costs! Stainless Steel Energy Star Appliances, Closet Systems designed w/Wardrobe Lifts, Onsuite Bath with Jacuzzi style tub, Built in Media Center w/ ceiling speakers & built in bass. Private patio w/ built in BBQ & full size laundry. Seller will entertain $579k-$599k. Tax records show 3 bed/1.5 bath.